We had a wonderful assortment of vintage medical/advertising items – many from the 1940s-1950s – brought into the store a few months ago. Stop by and check it out if you’re a vintage medical collector. 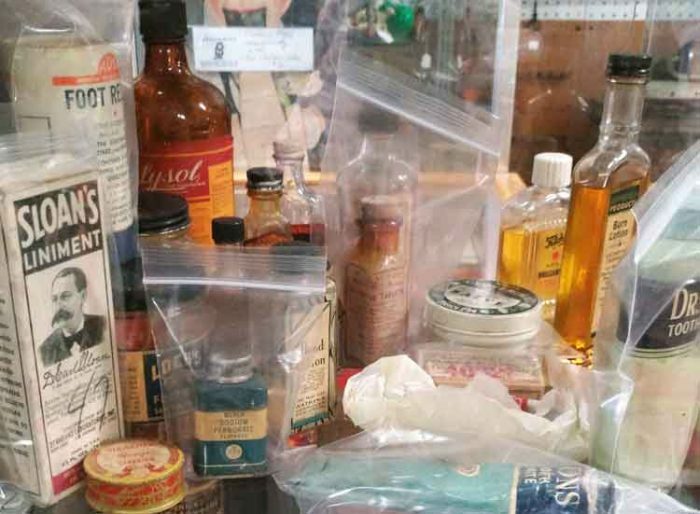 From Sloan’s Liniments to foot powders, tonics to tooth powder, cough medicines to thermometers. This is a beautiful variety of 40s-50s vintage medical pieces and advertising. Stop and talk with George soon. Browse and see what you might like to add to your collection. 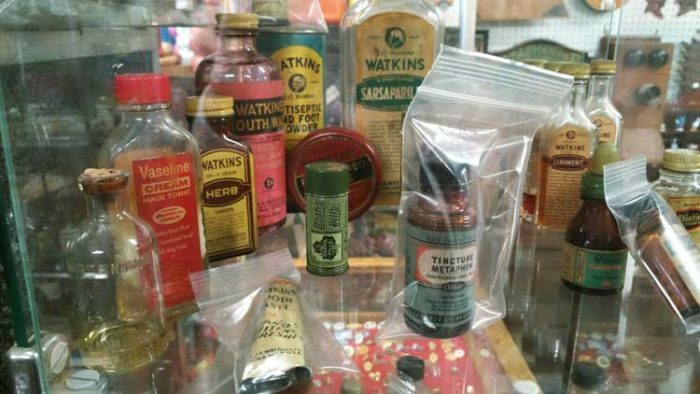 Vaseline creams, tinctures, and Watkins products are just a few of these 1940s-1950s medical collectibles. 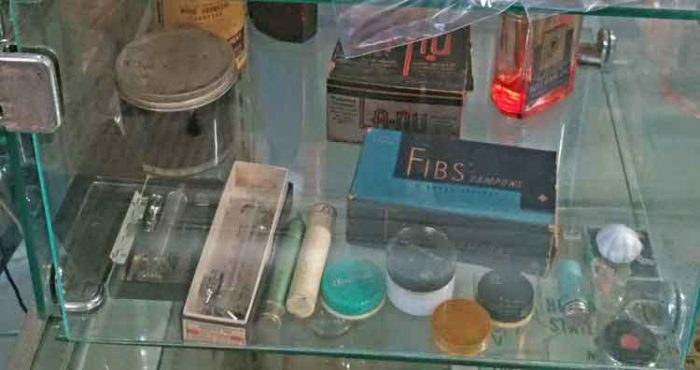 It’s an amazing assortment if you’re collections include vintage medical items. Yep, we’re here. We’re believing in Spring. And we’re waiting for you. We’ll be watchin’ for ya!